There are about 26,000 homeless individuals in the city of Los Angeles alone. There are still many others in neighboring cities including those in San Gabriel Valley where Seedbed Church is located. The average age is 40 - women tend to be younger. 33% to 50% are female. Men make up about 75% of the single population. About 42% to 77% do not receive public benefits to which they are entitled. 20% to 43% are in families, typically headed by a single mother. An estimated 20% are physically disabled. 41% of adults were employed within last year. 16% to 20% of adults are employed. About 25% are mentally ill.
33%-66% of single individuals have substance abuse issues. 48% graduated from high school; 32% had a bachelor degree or higher (as compared to 45% and 25% for the population overall respectively). How can our faith matter to them? God says in His Word that "a pure and undefiled religion" is loving our neighbors as ourselves. We believe that the church exists not only for ourselves but also for others that they may experience God's salvation and His provision. Jesus said, "whatever you are doing to the least of my brothers (and sisters) you are doing it to me as well". As a church, we endeavor to reach out by distributing blankets, food, toothbrush & paste and scriptures to our homeless neighbors. We cannot do the work by ourselves alone. We need people who are willing to go a second mile to reach out. Would you be our partner? We are accepting donations in kind (blankets, clothes, shoes, socks and bible) or in cash toward the purchase of those items. This year, we aim to have two distribution dates, one in summer and another in winter. 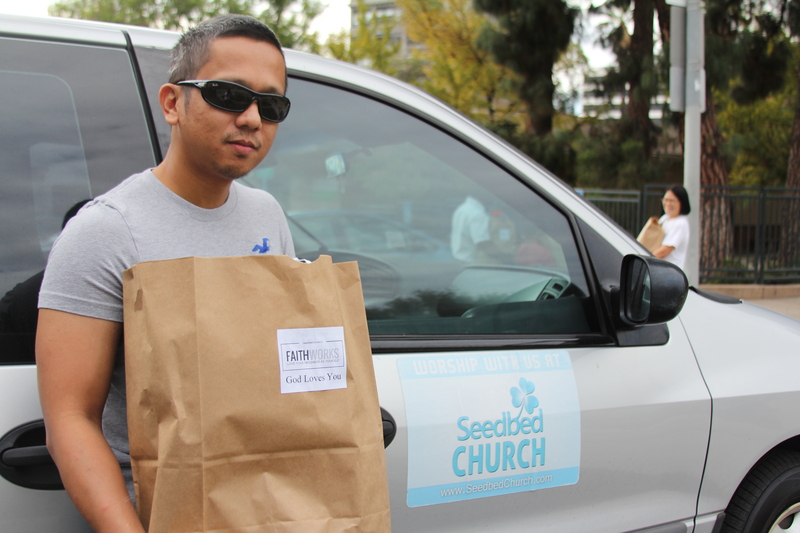 Contact us if you would like to know more about partnering with Seedbed Church. Your gift of $10, or $20 or $25 or any amount will be used in helping our homeless neighbors. Thank you for prayerfully considering to support this worthwhile cause.